A medium size (18 inch high by 45 inches wide) hosta, this cultivar is a tissue culture sport of H. 'Birchwood Parky's Gold' which was registered by Peter and Jean Ruh of Ohio in 2002. The leaves are broadly ovate, slightly wavy and of smooth texture. Its lavender flowers bloom in July. According to The Hosta Handbook by Mark Zilis (2000), "...a specimen plant, especially when paired with 'Parky's Prize', the green-centered sport of 'Birchwood Parky's Gold'." 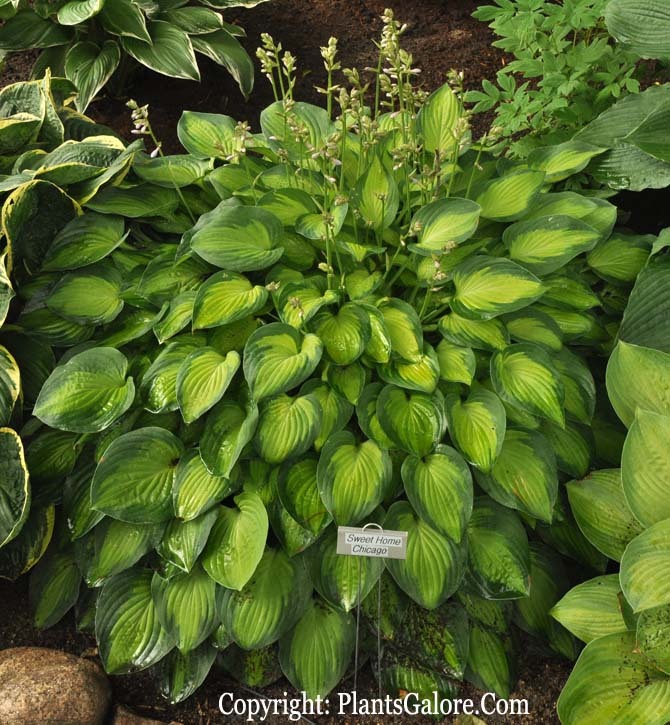 The New Encyclopedia of Hostas by Diana Grenfell (2009) states: "Vigorous, a rapid increaser. Easy to grow...wide green margin makes a dramatic contrast to the bright leaf center, the colors intensifying as the season progresses. 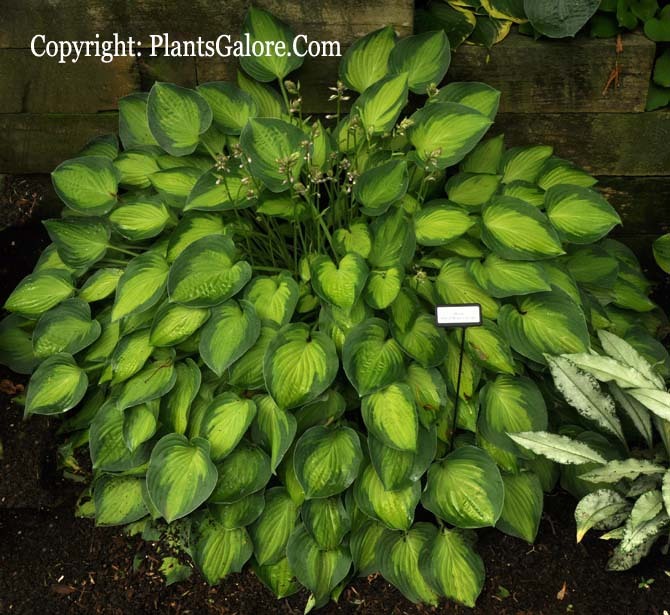 Scapes have attractively variegated leaf bracts near the raceme." Similar cultivars include H. 'Goldrush' and H. 'Parky's Perfection'. H. 'Parky's Prize' is the reverse form of this plant.